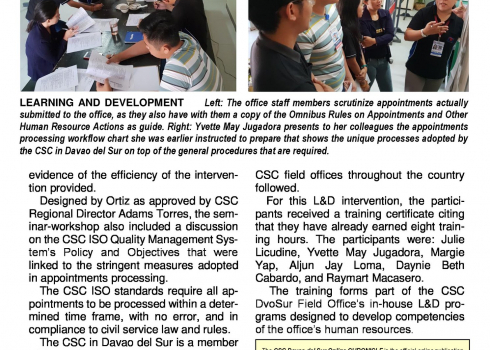 More and more services of the Civil Service Commission (CSC) are being certified to ISO 9001:2008, the international standard on Quality Management System, with its Accreditation and Registration Services for Employees’ Organizations as the latest to receive such certification. 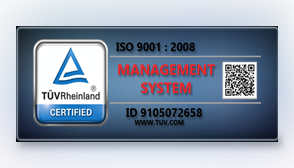 Particular services certified to ISO 9001:2008 are the Accreditation of Employees’ Organizations and the Collective Negotiation Agreement (CNA) Registration. 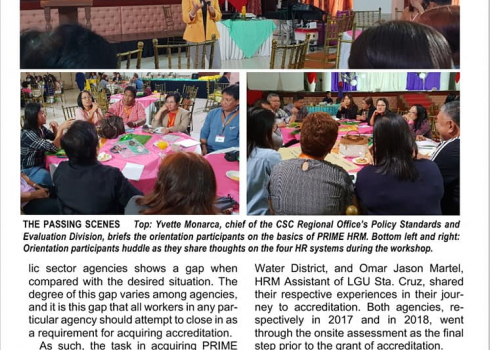 These are in line with CSC’s functions to ensure the development of responsible public sector unionism, improve management-employee relations, and assist and support employee organizations in government, which are managed by its Human Resource Relations Office. 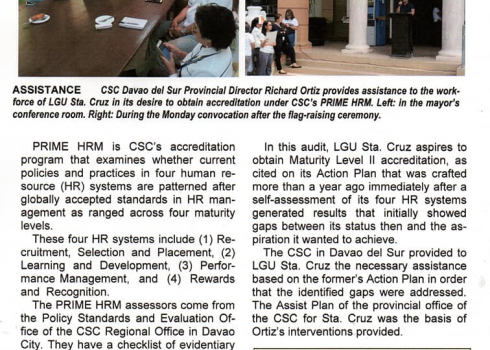 The Civil Service Commission recognized top performing frontline service offices based on the Anti-Red Tape Act Report Card Survey (ARTA-RCS), an instrument used to check agency compliance with the ARTA provisions to gauge citizens’ satisfaction with the quality of government services. 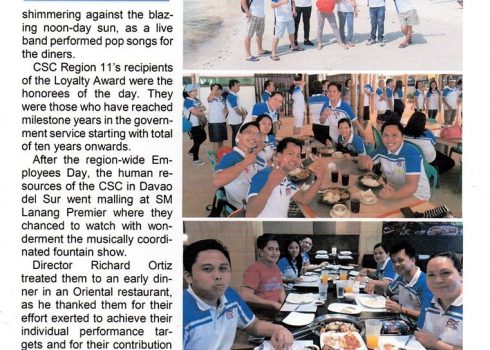 In the recognition program, “Celebrating Excellence in the Public Frontline Service Office,” held at the Luxent Hotel in Quezon City yesterday, CSC hailed three ARTA Best Performing CSC Regional Offices (Regions 3, 6, and NCR) and awarded the 2014 ARTA Breakthrough Agency Award to five agencies, namely, Land Bank of the Philippines (LBP), Commission on Higher Education (CHED), Philippine Health Insurance Commission (PhilHealth), Department of Trade and Industry (DTI), and Public Attorney’s Office (PAO). 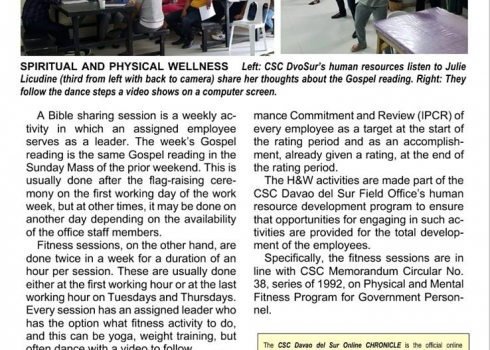 “The adoption of the four-day workweek scheme is voluntary, and only government agencies in Metro Manila that meet the pre-requirements may begin implementing the four-day workweek scheme”, this was stressed by CSC Chairman Francisco T. Duque III as he clarified the policy on the alternative work scheme. 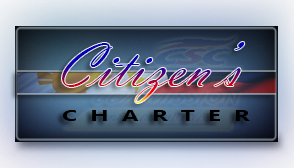 Agencies must submit to the CSC a notice of intent and certification that they have complied with the prerequisites. 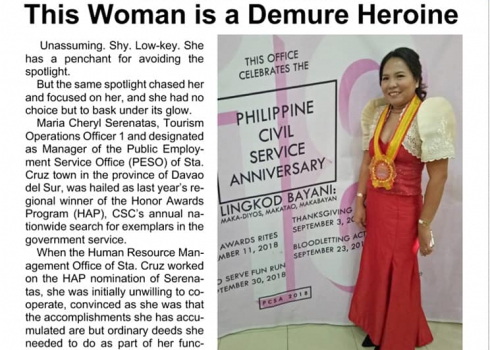 Civil Service Commission (CSC) Chairperson Francisco T. Duque III was named People Manager of the Year in Public Sector at the 38th People Management Association of the Philippines (PMAP) Awards held on Sept. 18 at the Waterfront Hotel in Cebu City. 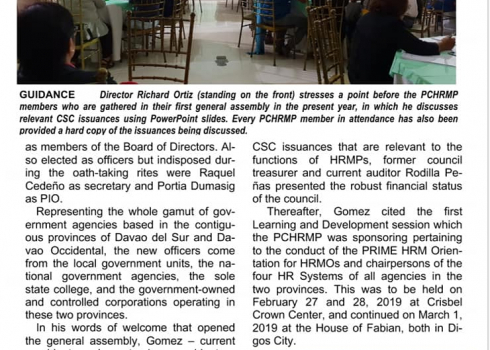 The Civil Service Commission denounced yesterday claims made by the Volunteers Against Crime and Corruption that the Commission is “covering up” for Philippine National Police Director General Alan La Madrid Purisima when the government agency allegedly withheld initially issuance of the police officer’s Statement of Assets, Liabilities and Networth (SALN). The Civil Service Commission (CSC) announced that it will conduct the Anti-Red Tape Act (ARTA) Report Card Survey (RCS) in various service offices of the following government agencies, namely, Bureau of Internal Revenue, Government Service Insurance System, Home Development Mutual Fund, Land Registration Authority, Land Transportation Office, Philippine Statistics Authority – National Statistics Office, Philippine Health Insurance Corporation, Professional Regulation Commission, and Social Security System. The Civil Service Commission (CSC) announced the semi-finalists to the 2014 Government Choral Competition. 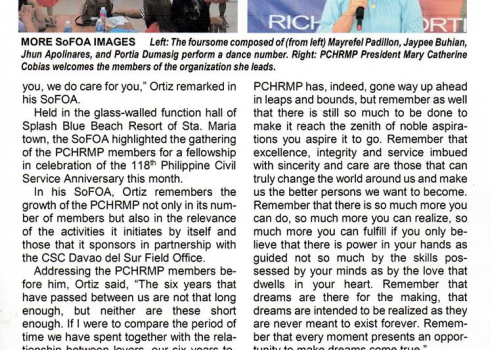 Dasmariñas City Teachers Chorale, Ilocos Norte National High School Chamber Singers, and Pangasinan Provincial Chorale for Luzon; Calbayog City Chorale for Visayas; Bayugan City Division Choir for Mindanao; City Government of Makati Employees' Chorale, PAGCOR Voice Symphony, and Pag-IBIG Fund Chorale for Metro Manila. 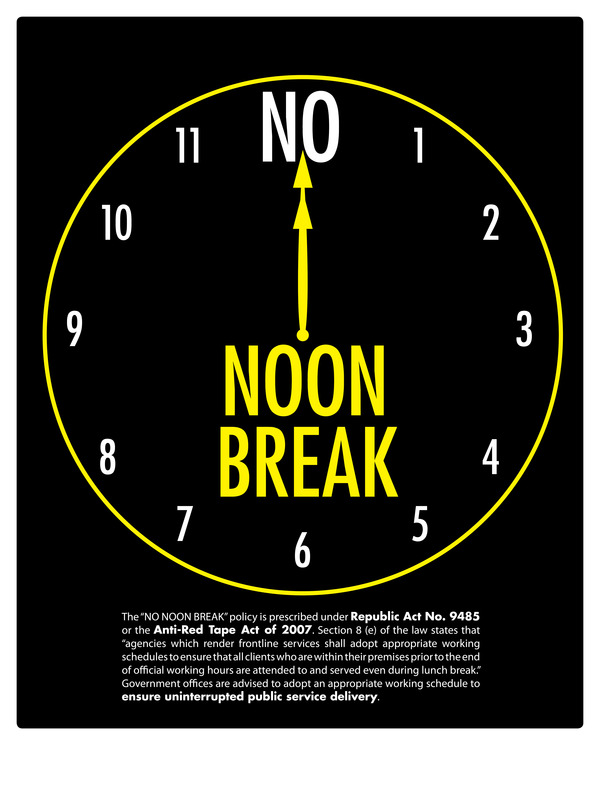 CSC Resolution No. 1200289 issued on Feb. 8, 2012 grants a five-day special emergency leave to government workers directly affected by natural disasters, specifically to those who are stranded in affected areas, suffering from disease/illness caused by natural calamity/disaster, taking care of immediate family members affected by natural calamity/disaster, or in need of urgent repair and clean-up of damaged houses. 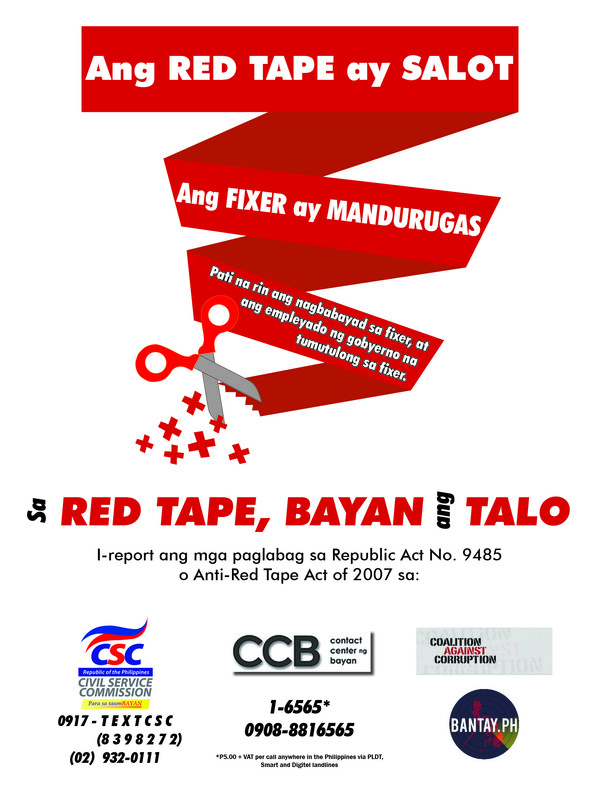 The Contact Center ng Bayan (CCB), the government’s central helpline against red tape, is expanding to accommodate complaints on extortion (kotong) and bribery (suhol) from micro, small, and medium entrepreneurs (MSMEs) through its text messaging hotline 0908-881-6565. 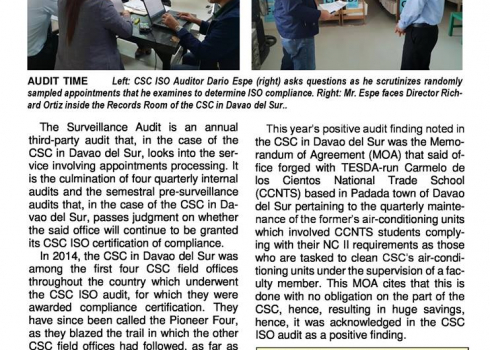 The Civil Service Commission (CSC) has filed show cause orders to 43 government employees who failed to submit their 2012 Statement of Assets, Liabilities, and Net Worth (SALN). 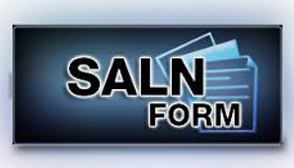 Records from the CSC Integrated Records Management Office (IRMO) show that 2,029 employees did not file their SALN. 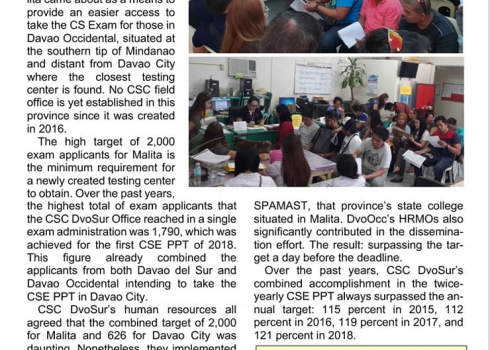 While 99 percent of the 204,055 personnel from 313 agencies required to submit their SALN to the CSC complied. 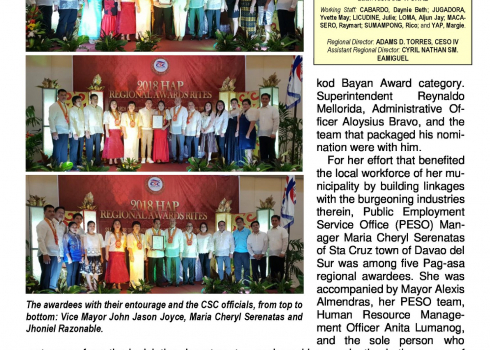 The Civil Service Commission (CSC) encourages agency heads to forward their PRAISE (Program on Awards and Incentives for Service Excellence) awardees as nominees to the 2014 Search for Outstanding Public Officials and Employees. 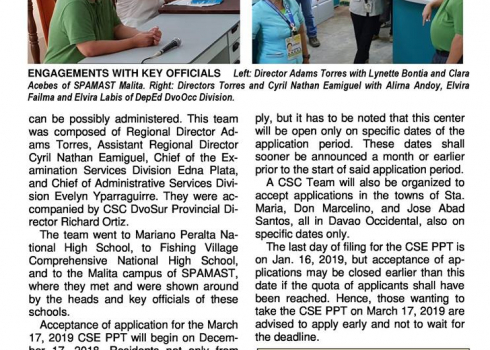 Deadline of nominations to the 2014 Search is on March 31. 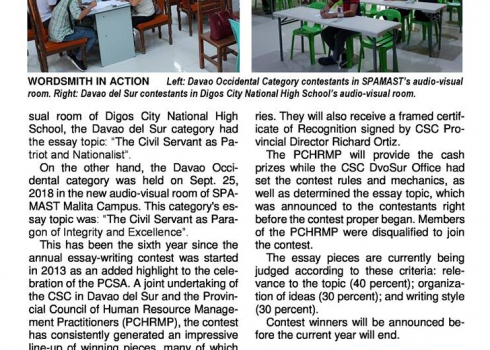 The Civil Service Commission (CSC) released the names of semi-finalists of the 2014 Search for Outstanding Public Officials and Employees. 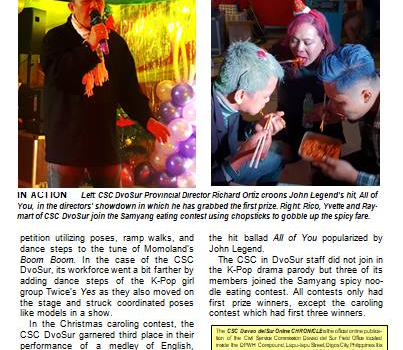 “We are pleased to announce that 11 individuals and two groups made it to the Presidential Lingkod Bayan Award shortlist, eight individuals and three groups for the Civil Service Commission Pagasa Award, and 15 individuals qualified as semi-finalists of the Dangal ng Bayan Award,” said CSC Chairman Francisco T. Duque III. 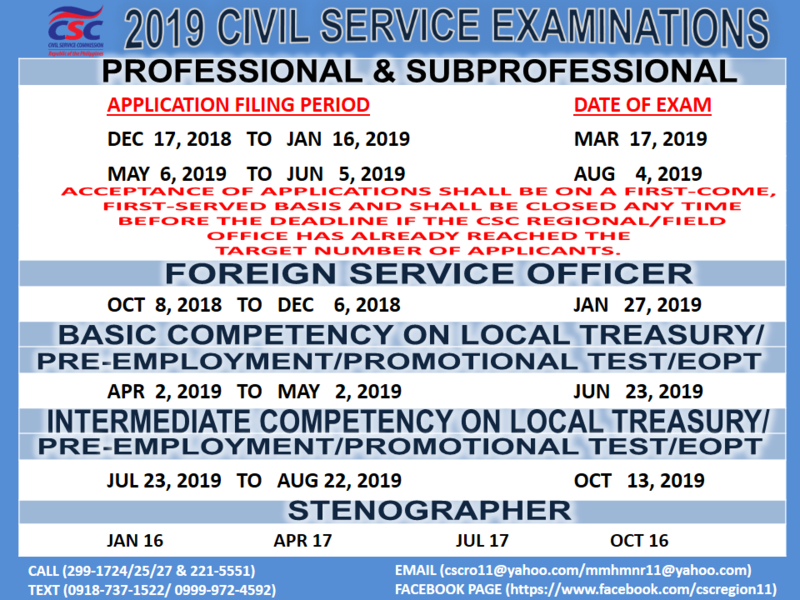 The Civil Service Commission (CSC), as the premier human resource institution, acts as a disciplining entity of the bureaucracy, hearing and deciding on administrative cases of state workers for violating civil service rules and regulations. In 2013, the CSC was certified ISO 9001:2008 compliant for its cases adjudication process, which requires the Commission to resolve cases ripe for resolution within 40 days from the time of submission of last pleading. This standard guarantees the public that cases filed with the CSC are handled with utmost efficiency. 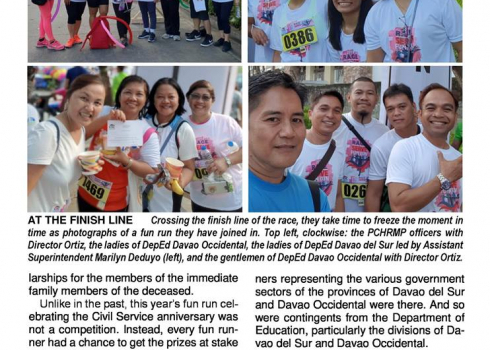 Such is the stern warning of Civil Service Commission (CSC) Chairman Francisco T. Duque III to government officials and employees with outstanding unliquidated cash advances. Last year, the CSC dismissed Mark Benedick Isabelo after he was found guilty of Gross Neglect of Duty for failing to liquidate cash advances amounting to PHP114,064.45. 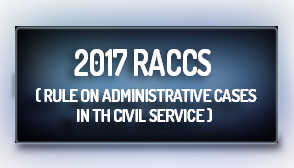 Anyone who wishes to obtain his or her Career Service Eligibility may opt to take the Civil Service Commission (CSC) exams through the new computerized system. 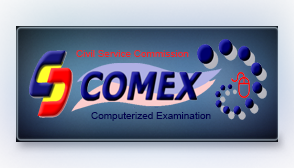 The CSC Computerized Examination System (COMEX) is designed and developed to unite all previous stand-alone examination processes into a single, automated examination system. 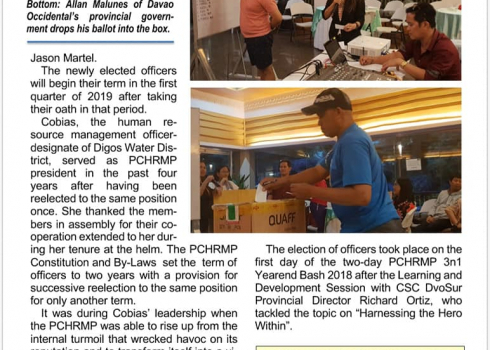 Elected and appointed barangay officials may apply for the Barangay Official Eligibility (BOE) issued by the Civil Service Commission (CSC). “The head of office or agency shall be primarily responsible for the implementation of the Anti-Red Tape Act,” said Civil Service Commission (CSC) Chairman Francisco T. Duque III upon the release of CSC Memorandum Circular No. 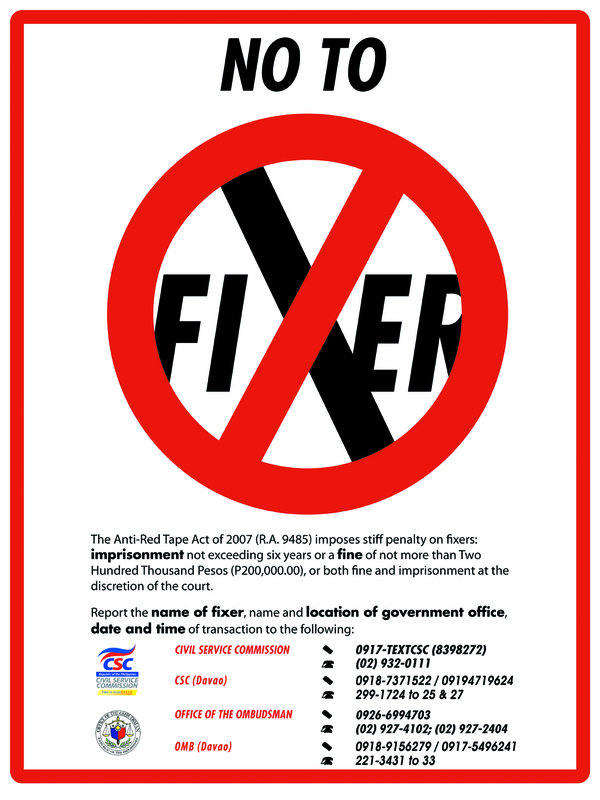 9, s. 2014 reiterating agency compliance with the landmark law aimed at curbing red tape and improving frontline service delivery. “It is command responsibility,” added Chairman Duque, detailing that appropriate charges may be filed against the head of office or agency in case of failure to comply with the Anti-Red Tape Act (ARTA) rules. 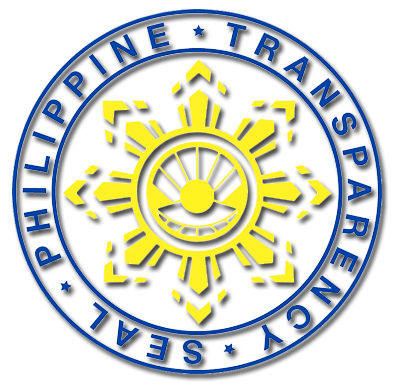 The memo enumerated other pertinent provisions of the ARTA and its implementing rules and regulations. 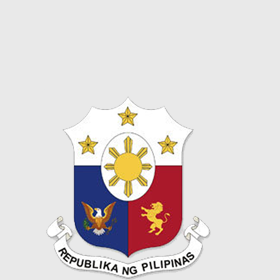 Australia and the Philippines are strengthening their partnership to build up the Philippines’ human resource industry as the country gets ready for 2015 ASEAN economic integration. 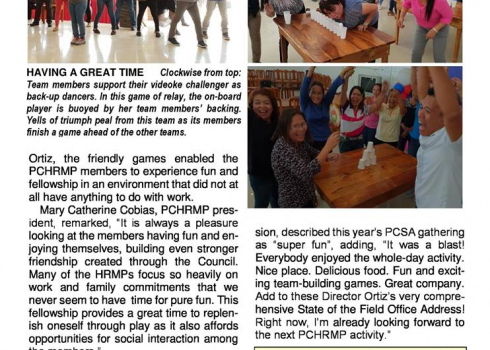 Over a thousand Filipino public and private human resource (HR) and organisational development (OD) experts gathered together in Cebu City for the HR Symposium 2014. 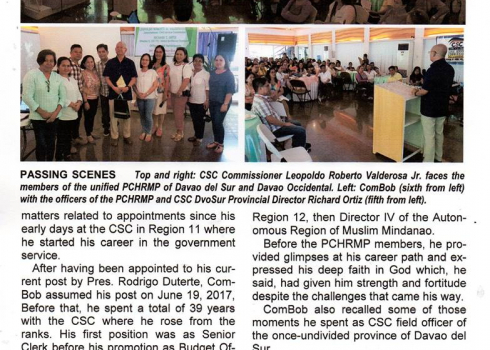 The event is a joint undertaking of the Civil Service Commission (CSC) and the Australian Government through the Philippines Australia Human Resource and Organisational Development Facility (PAHRODF). 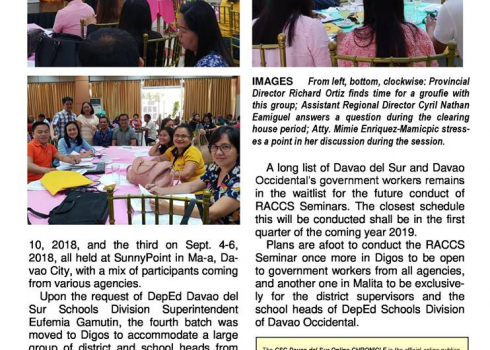 “Good news,” says Civil Service Commission (CSC) Chairman Francisco T. Duque III of the results of the 2013 Anti-Red Tape Act (ARTA) Report Card Survey (RCS) which was released last month. Majority of the service offices surveyed passed, with 18 percent of the total 929 offices surveyed getting an Excellent rating and only 67 service offices or 7 percent failed. 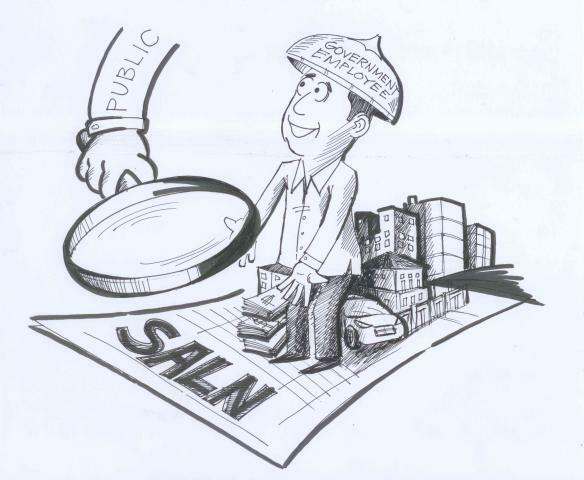 On April 30 of each year, government employees should submit a Statement of Assets, Liabilities, and Net Worth, more commonly known as “SALN”. 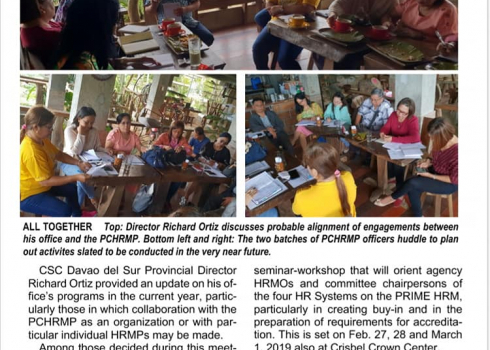 The Civil Service Commission (CSC) entered into a partnership with the United States Agency for International Development (USAID) for the enhancement of the Anti-Red Tape Act (ARTA) Report Card Survey (RCS), Feb. 14. ARTA RCS is an instrument used to check agency compliance with the various ARTA provisions, to gauge citizens’ satisfaction with the quality of government services, and to ask the citizens—as clients—to directly rate the performance of government offices insofar as frontline service delivery is concerned.